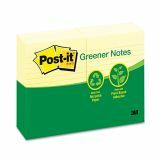 Post-it Greener Notes Recycled Note Pads, 4 x 6, Lined, Canary Yellow, 100-Sheet, 12/Pack - Post-it Notes are made from 100 percent recycled fiber paper. Ideal for taking notes during a meeting. 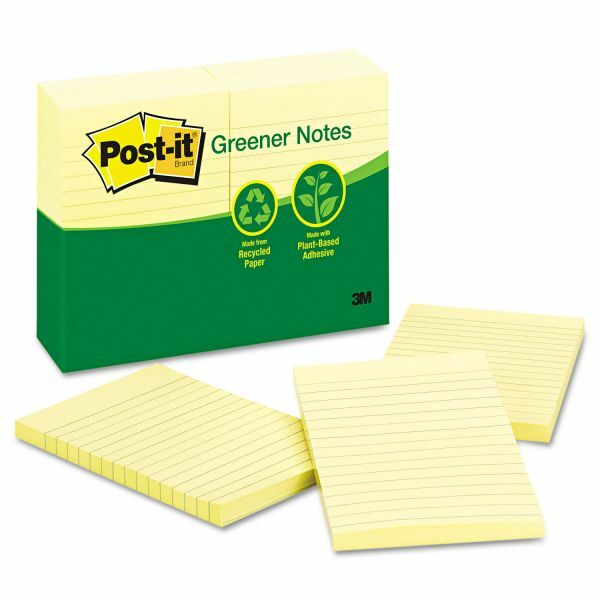 Repositionable adhesive won't mark paper and other surfaces. Lined sheets let you write neater notes. Paper used comes from well-managed forests where trees are replanted. 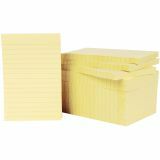 Each pad contains 100 sheets.